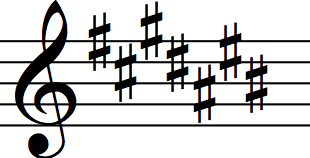 First here are all the key signatures of the keys that have sharps. I have included the key of C Major (no sharps or flats) at the start, just for the sake of completeness, although clearly there is nothing there! 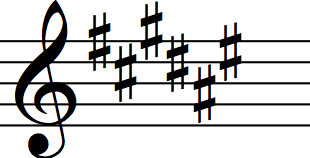 This didn't occur to me until I was writing the number of sharps in the major scales for my students one day. By this point I had been studying music for over twenty years and not spotted this. I could have kicked myself for not noticing it before and, in fact, it can also be used to remember the minor scales as well. You only need to remember two things. and others just remember that they need to start on F and keep going up a fifth for each sharp. The second thing you need to remember is that C major has no sharps and no flats. 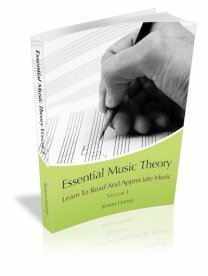 Once you know these two things there is a simple method to help work out all the key signatures for any major key. Just watch the short video below to learn how to do it. In addition to the method above there are a couple of short cuts that will help you quickly remember the sharps in different keys. The first short cut is for when you have a piece of music with sharps in front of you and you need to quickly find out the major key of the piece. All you need to do it find the last sharp and go up one semitone. This will give you the major scale associated with that key. E.g. 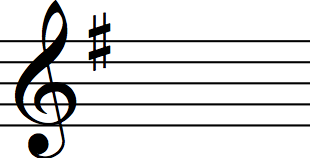 If there are 3 sharps in a key signature (F, C, G) look at the last sharp (G) and go up one semitone (A). So 3 sharps is the key of A Major. The second shortcut isn't for all of the sharp keys, but it works for some and helps you associate the letter names with the number of sharps in the key. If I couldn't believe I hadn't thought of the idea for the sharps above earlier, then I really couldn't believe I hand't noticed this before! It was only when teaching a class of students, 35 years after beginning piano lessons as a child, it occurred to me that some of the letters actually tell you how many sharps are in a particular key signature! See the picture below. It's fairly self explanatory! 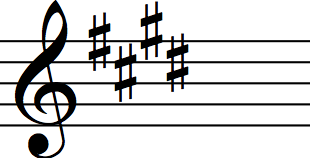 Unfortunately, I haven't figured out the rest of the sharps or a similar method for flats yet - but if you have, please let me know! IMPORTANT NOTE: There is a mistake in the quiz below! 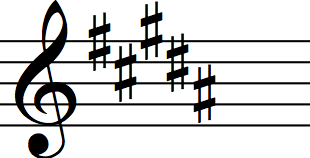 It shows the answer for 'Which key has 2 sharps' as G major - which is incorrect. 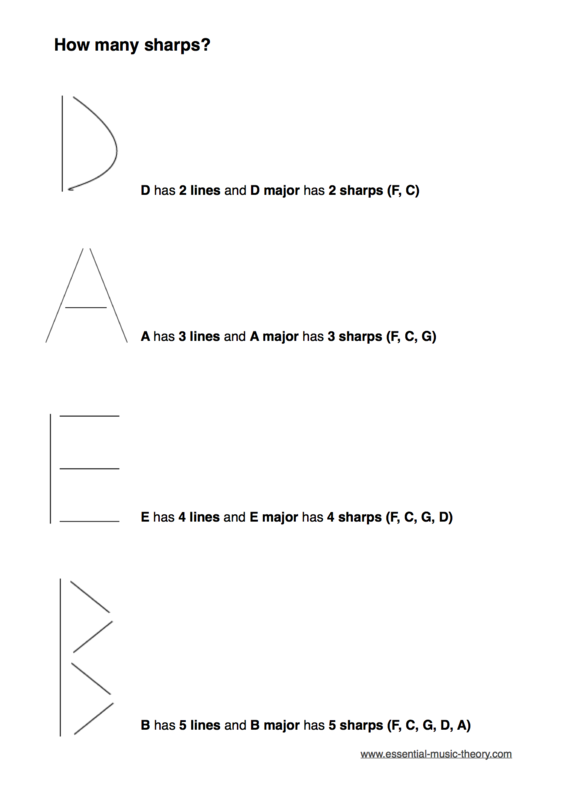 The correct answer should be D major. This will be corrected very soon! Sorry about that and thanks to Anneka for getting in touch and letting me know. Once you are confident you know all the keys with sharps click here to take an online quiz. Click here to learn about keys with flats.